Jade Anouka, Sheila Atim, Jackie Clune et al. 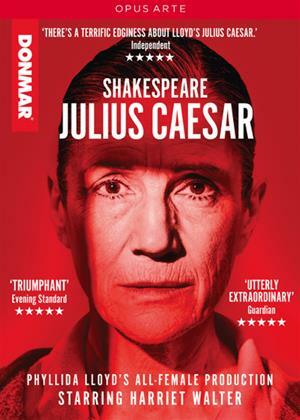 Harriet Walter stars in this all-female production of the Shakespearean tragedy. Set in the present day, Brutus (Walter) is struggling to come to terms with the part he played in Julius Caesar (Jackie Clune)'s assassination. Meanwhile, the country looks set to descend into civil war as Mark Antony (Jade Anouka) leads the masses into mindless violence.